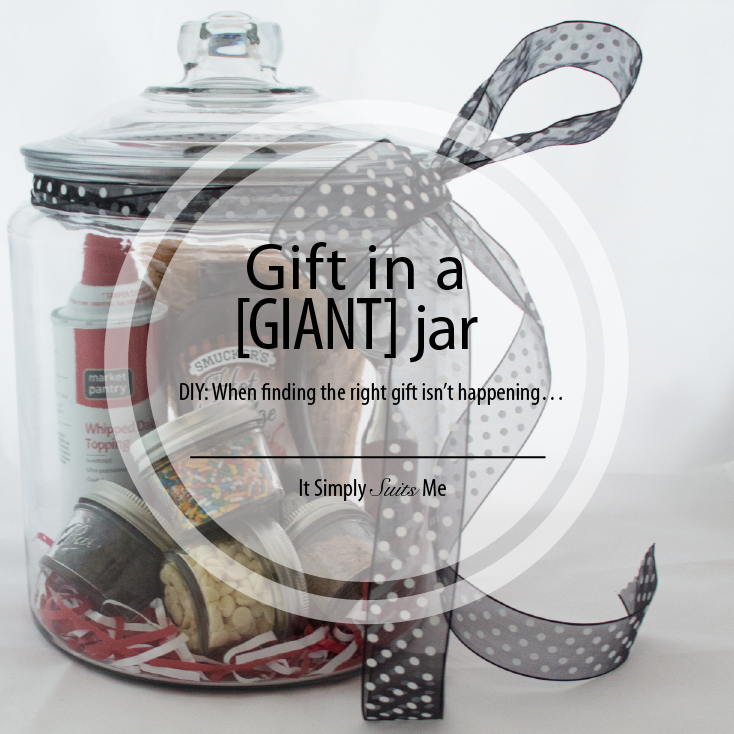 When finding the right gift isn’t happening… put together a giant jar of treats! This is an ice cream bar themed jar but there are so many more options! If your friend likes girly nights in, put together a new nail polish, a girly movie and some pink treats. If your guy friend likes sports, make a collection of game watching snacks with Beef Jerky, unique sodas, and spicy chips. We are always told it doesn’t matter what you put in the present, what matters is that you thought of them.. But really we all want to give the cutest gift! Comment and share your “go to” gift ideas!